TranslateIt! will come in handy if you work in English and German simultaneously and need to quickly translate between both languages. The application fits in your launch bar and shows translations for any word in German or English that you hover your arrow over. You can add the word to a database and have it voiced thanks to a little link in the hover window. TranslateIt! 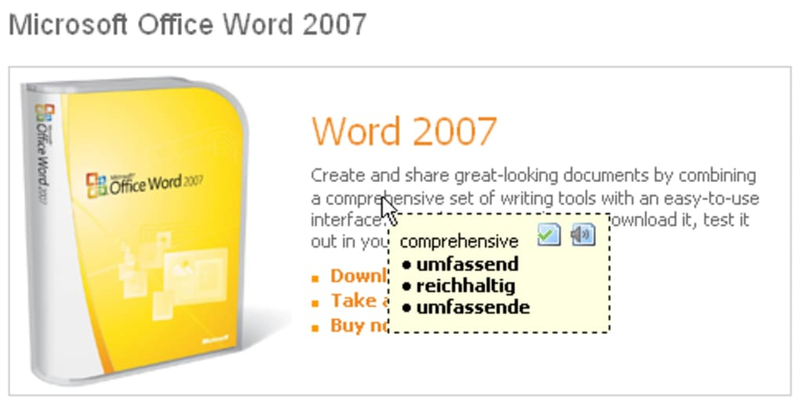 also features both English and German dictionaries however these will not display any definitions for you. Instead they display the translation results of the word you select. These dictionaries include a very wide range of words and terms. You can also use the search box at the bottom to find words more quickly. One of the main drawbacks of TranslateIt! is that it is limited to English and German. Having more languages on offer would have made it much more interesting to many more people. Showing translations in a hover window, is a good idea at first, but it can quickly get annoying, especially that the application will even try to translate words in other languages you hover your arrow over. We suggest disabling it and having it come up only with a hotkey. TranslateIt! is a good tool to quickly find translations of words from German to English and vice versa. What do you usually do when you come across an unknown word on a web page? You probably copy it to the clipboard, launch a translation or dictionary program, paste the word from the clipboard, and click the button. Isn't this kind of slow and inconvenient? A real time waster? It sure is. With TranslateIt! 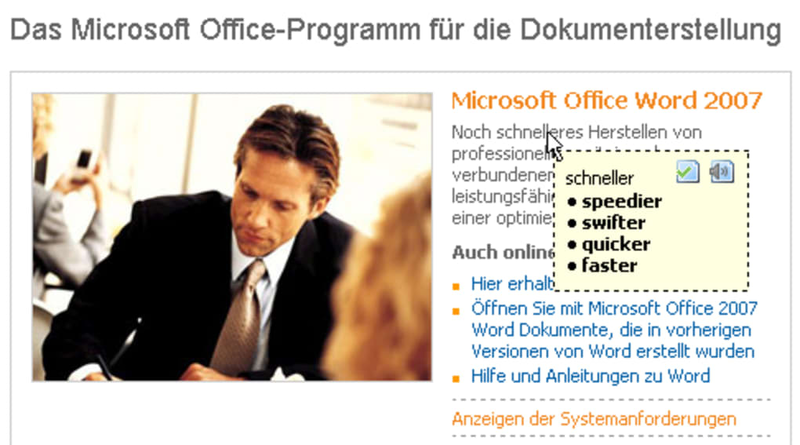 , you move your mouse cursor to any word and get its translation right there, in a cool tooltip-like floating window. What do you think about TranslateIt!? Do you recommend it? Why? No thanks, continue to download TranslateIt!